Despite the variety of life forms and the thousands of seaweed species described, seaweed aquaculture is presently based in a relatively small group of about 100 taxa. Of these, five genera (Laminaria, Undaria, Porphyra, Eucheuma/Kappaphycus, and Gracilaria) account for about 98% of world seaweed production mainly in China amounting 10 250 606 metric ton of these 5 major most important seaweed species. During the last 50 years, approximately 100 seaweed taxa have been tested in field farms, but only a dozen are being commercially cultivated today with world-leader China. 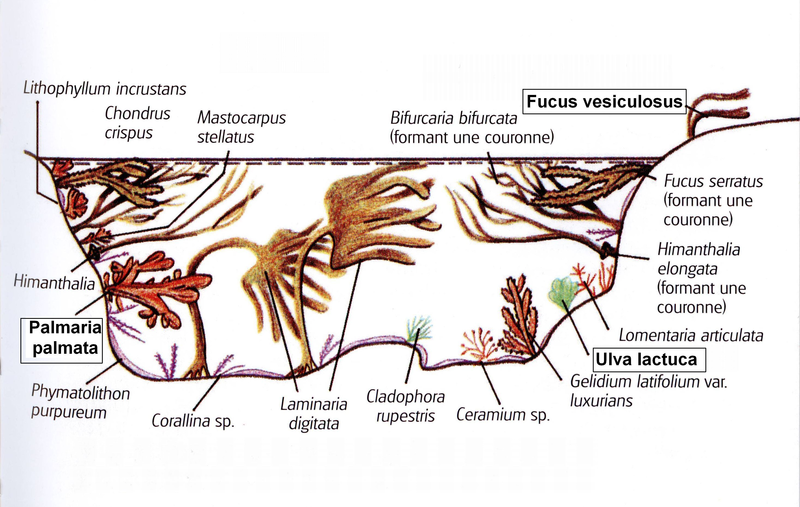 A brief introduction to life cycles and cultivation techniques of these species is presented in subsequent sections (Yarish & Pereira 2008). More recently, seaweeds have become important as alternative green biomass source in order to produce energy by anaerobic methane fermentation (Gracilaria, Ulva [Bruhn], Reith [Laminaria]) including serving as a sink for anthropogenic produced CO2; sources of various food resources, like e.g. a protein platform & PUFAs. The Energy Required to Produce Edible Proteins from Aquaculture is much lower in comparison to Capture Fisheries and Animal Agriculture. This low efficient value can be explained because the nutrient-assimilating photoautotrophic seaweeds use solar energy to turn nutrients (N&P) from the eutrophic oceanic waters into profitable resources like in this case protein [Source: Worldwatch Report 176: “Farming Fish for the Future”, by Halweil (2008)]. The global demand (“appetite”) for farmed fish is putting unsustainable strain on the world’s food resources ([Review]: Bostock et al. 2010). Situation can be improved by an increased production of “cheap” herbivorous fish which are lower on the food chain and can be raised on plant-based feeds. Another option would be raising filter feeders like shellfish which don’t have to be fed at all living on waste products of the finfish and require two to three times less energy per unit of edible protein produced tan most forms of livestock rearing. Considering the “Box” D). Aquacultural Systems, the very low energy input value of a seaweed production system of only 1 to produce edible protein is striking and is the lowest off all mentioned global production systems (including the production of terrestrial plants which require 2-4 times more energy input in comparison to a solely seaweed production based aquacultural system! In addition, an Integrated Multi Trophic Aquaculture (IMTA)-approach based on the combination culture of fish, mollusca and seaweeds seems overall for all mentioned production systems to be the most profitable as a “Future Scenario” for the most efficient, ecological balanced, sustainable agricultural production system, possibly global applied.